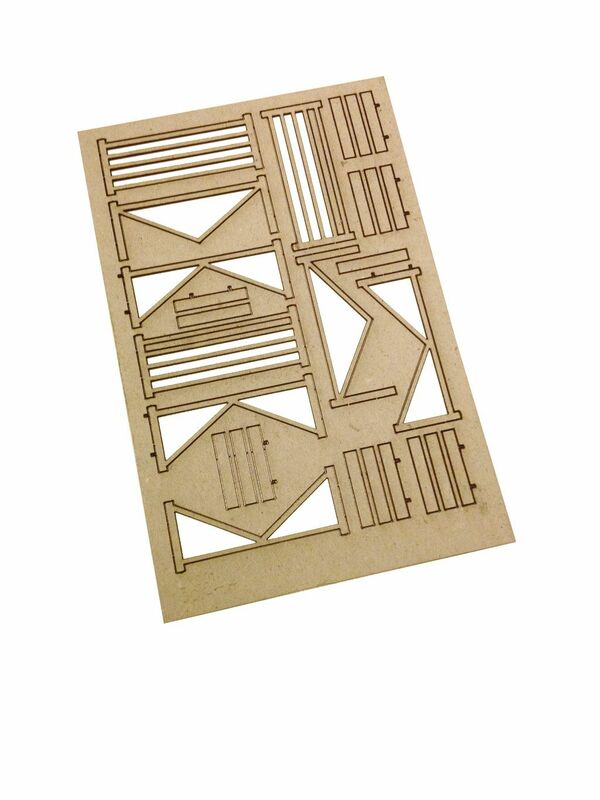 A pack of three laser cut card farm style five bar gates with a wide range of uses on your OO scale model railway layout. These gates take just a couple of minutes to assemble. Watch the demonstration video here. Can be painted using artists acrylics or left in their natural colour. Laser Cut 700 micron card - You only need a knife to gently release the parts from the sheet, all cutting is done for you! 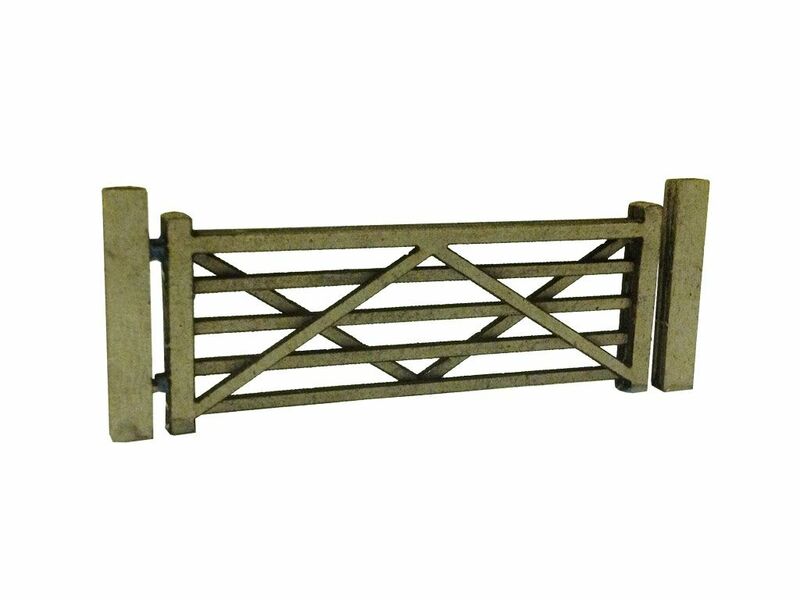 Very easy to assemble - just a couple of minutes per gate, saving you time! Scale accuracy - We use a 0.1mm ceramic laser for very tight tolerances & accuracy. Simple, sturdy, layered construction for a durable model once assembled. Get all three gate packs today for just £9 & save £2.97 - Click Here! Very simple to make up and works very will with the fencing. Made all three gates up in around 15 minutes, then put them into place on the layout, making up fencing and gates around a stable. Excellent bit of kit, made one in just ten minutes. Will look good on my layout.